In April of 1846, twenty-one-year-old Sarah Graves, intent on a better future, set out west from Illinois with her new husband, her parents, and eight siblings. Seven months later, after joining a party of pioneers led by George Donner, they reached the Sierra Nevada Mountains as the first heavy snows of the season closed the pass ahead of them. In early December, starving and desperate, Sarah and fourteen others set out for California on snowshoes, and, over the next thirty-two days, endured almost unfathomable hardships and horrors. In this gripping narrative, New York Times bestselling author Daniel James Brown sheds new light on one of the most legendary events in American history. 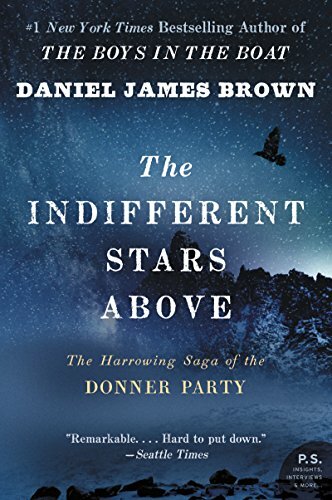 Following every painful footstep of Sarah’s journey with the Donner Party, Brown produces a tale both spellbinding and richly informative.